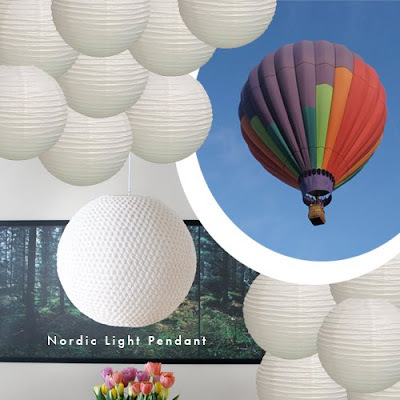 After a lot of brainstorming about my Ikea rice lamp, I got the idea of converting it into a hot air balloon. Basically, I'll paint the lamp in muted colors and hang a basket underneath, with a little explorer friend inside. If you are looking for a less whimsical idea to make over your rice lamp, take a look at Pickles' free crocheted rice lamp pattern. They call it Nordic Light Pendant. Hot air balloon photo from KDH at sxc.hu.